What happens when you give someone your business card? You can hope that they’ll store it right on the top of their 5,678 other business cards and then Google-stalk you when they get back to their offices, but really you have no idea if those things are even worth the money they’re printed on. For all you know, your business cards are great lint collectors in the jacket coats in closets across the country. That is, until now. 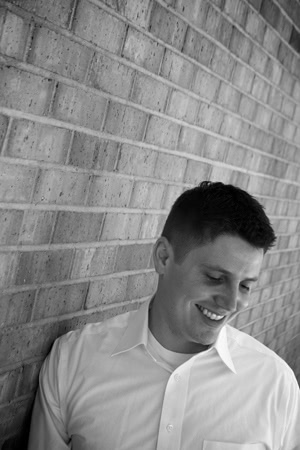 Nick Carter has a background in marketing and he founded CRM company Address Two in 2008. His spin-off project is called ZebraCard and it’s website/business card that includes both a barcode and a QR code which link directly to a digital packet of all your information. Basically, you no longer have to try to cram all of your info on one little piece of paper because your contacts can scan that cute little code and access everything online. ZebraCard is in the process of crowdfunding right now, so if you dig the idea go check out their Fundable page and give ’em a few bucks. 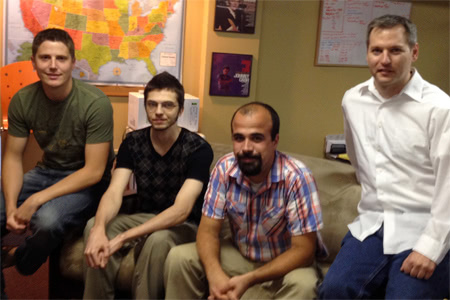 Is there a big startup scene in Indianapolis? There is, there’s a growing one. I forgot where I heard this stat, but outside of Silicon Valley, the second most dollars in VC or the sheer number of startups, I can’t remember, is in Indiana. What happens is we have cheap talent here. Just the cost of living is ridiculously lower compared to Chicago or Manhattan or LA so a lot of startups will spawn here and then when they get their second or third round the whole management team moves to Silicon Valley. Then they go for a buyout and come home and do another one. I have a couple of friends that have actually done that a couple of times. They’ve moved their whole families out to California and then they move back but I’m like, um, no thanks. Not for you? You’re planning on staying in Indianapolis no matter what happens with ZebraCard? No! Don’t say that! Going nowhere? No! (Laughs) That’s not what I meant! When did you guys launch? And where did your funding come from? Funding for Zebra Card was privately funded by me. 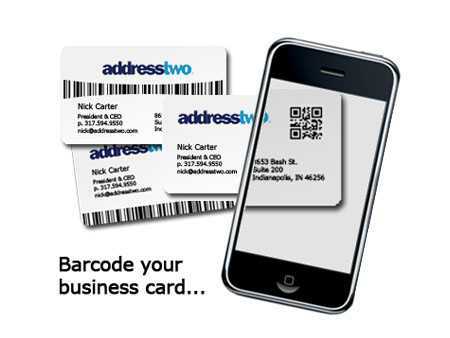 It’s a spinoff from an existing mature startup, Address Two. Is it just you at this point or do you have other people working with you? I actually have the Address Two team working on this. It started from a creative project and we decided to just spin it off on its own and give it legs. So it’s me, one developer, a DBA. And what do you mean by “creative project,” exactly? Just something you guys were throwing around? Yeah, with Address Two we wanted to be able to scan business cards—Address Two is a CRM software—we wanted to be able to scan business cards as a function, to import business cards through OCR. The idea came like, my god, we’re going to be scanning reverse engineering into digital data. There’s gotta be a way to have at least a point or a reference to already purposed digital data somewhere out there on the web. So we started looking into it. QR codes are great, we like QR codes but some designers don’t like them as well so we actually did a bunch of research to figure out that there are barcode fonts that you can use that include the whole character set which means you can put a full URL in just a barcode, in a one dimensional barcode which can be hidden a little more aesthetically in a business card design. So that’s where the idea came from. The core of Zebra Card is just that central depository where we’re storing all the data. Is that where you got the name? That design element? The design thing is really interesting to me because one thing that I’ve found working with especially startup companies is that people tend to skimp on the design. I’ve seen a lot of websites that are just… So bad. Visually, so bad. There are so many out of work graphic designers who would do it for so cheap; why don’t you hire a graphic designer?? The funny thing is that I couldn’t say we poured a ton into the design of ZebraCard.me, as a website. When you look at it, it’s like tons of white, right? We’re lucky because with Zebra we can easily say that black and white was intentional, like that’s the only colors we wanted to use. But I’ve learned that if you’re not going to invest in design, if you’re not going to have someone professionally do it, than do little. Don’t create bad graphics, just don’t use graphics that much. We use minimalist design. It’s a lot of white; we have very little graphical elements on the website but a lot of that is intentional because if you try to do an ornate website and you’re not good at design then it just looks like puke. So for you it’s almost a lean startup approach in terms of not wanting to spend your money on graphic design. Oh absolutely. We’re definitely lean startup. 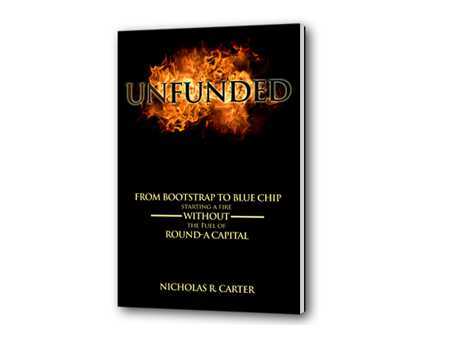 Not to be self-promotional but I wrote a book called “Unfunded.” We actually self-funded; I self-funded Address Two to where it is today, so we’ve always done that. We go lean startup, minimum marketable feature… We have a product roadmap and we build just what’s minimally needed to go into beta and get adoption going. We’re not going to raise capital to go out and build things that people haven’t bought yet or maybe aren’t going to buy yet. Do you have any hobbies? Do you have time for hobbies? Yeah, of course I do! I’m a hunter; I’m an outdoorsman so I love going camping and hunting. I’m also a church planter so I’m involved in planting a new church in Indianapolis, which is almost like a startup in and of itself. That takes up quite a lot of time. I’ve never heard of that. Church planter? Yeah, planting a new church. Churches have to start somewhere and actually a lot of bigger churches are realizing that the faster way to grow is not to just add more seats and build an auditorium that seats 40,000 people instead of 30,000 people or buy the Houston Rockets stadium. There’s a church in Houston that did that. It’s better to start smaller churches because smaller churches are just more healthy as organizations and groups. Not to sound super conservative or old fashioned, but like they were 100 years ago. People who really know each other who are actually living life together. So we’re starting smaller churches. 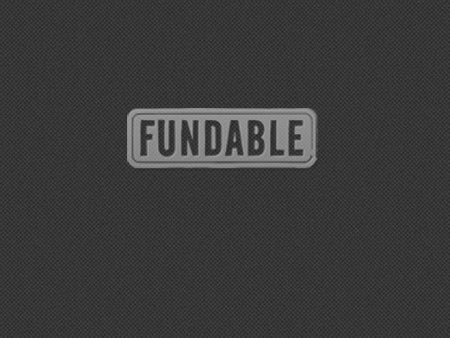 How would you say that’s related to running a startup? It’s getting people behind a cause. Believe me, I started a CRM company four years ago—that was Address Two—and I heard from several people that there are a thousand CRMs on the market, why would you start this? Well you start a new church and people look at you like, yeah, like we don’t have enough churches in the US. Like we have a shortage of churches. Why are you doing this? You have to get people behind a cause, you have to do some marketing, you have to get out in the community and meet people. There are days when you show up to church and they only people that are there are the people that signed up a year ago to start the church. There’s no one new coming and you don’t believe in it anymore and you think, why are we doing this? You doubt yourself and you want to just quit. And it’s easy to because your income isn’t tied to it, right? It’s really easy to be like, okay, whatever, this was a cockamamie idea we had. So all the same emotional roller coaster you go through when starting a company, you go through it when you’re starting a new church. And what do you hunt? Deer. And rabbit, but mostly deer. When’s the last time you got a buck? Oh man, I wish you hadn’t asked that. Two years. The population in Indiana is not good. Seriously! It’s been over-hunted and poaching has not been prosecuted well enough which kind of pisses me off. And how many points was that buck? Eight points. Not that big. He was a nice little buck. Not bad, not bad. I have to say, I love that when I asked you about hobbies you were like, yeah, of course! Most of time when I bring up hobbies people are just say, no. Just… No. I don’t believe in being married to my business. You hear from a lot of a lot entrepreneurs who are like, it’s like jumping off a cliff and trying to build a plane on the way down! And I’m like, no, why would you jump off a cliff and try to figure out how to build an airplane on the way down? You know? They’re completely devoted and it’s like the only thing in their lives is their business. I guess people with that level of devotion have contributed a lot to society. We have inventors; I’m sure Thomas Edison’s wife hated him, if he even had one, because he just tried to invent the lightbulb all day long for 16 hours a day. That’s not gonna be me. I hope that my greatest contribution to society is not that I started Zebra Card. I really hope that that’s not it. I have three kids that I want to raise up in my faith; I want them to grow up with the Lord. That doesn’t happen when you’re gone 16 hours a day and they think that Christianity was just that thing that Dad did. More than that, you can see the absence of fathers in households and you can directly relate that to crime statistics and dropout rates and poverty levels. Fatherlessness and poverty go hand in hand. And you can be fatherless even if your parents file a joint income return; you can still be fatherless. Dad is always at the office. He’s devoted to having his name always in Mashable every two or three years because he had another great startup or whatever. That’s his monument to self. If I’m not the premier startup guy, if I’m not Zuckerberg or whatever, that’s fine with me. I’m going to enjoy life. I have hobbies, I go home on the weekends, I work probably less than 40 hours a week. And you consider yourself successful in the startup world? Yeah! We have a very good, pretty passive income from Address Two. We’ve got Zebra Card and another company that I’ve started. I just try to keep it confined. I don’t want to start so many companies that it consumes all of my time. Of course, they’re working towards a buyout or a sellout or the next round when they are able to sell some of their preferred stock and probably make a big cash out or something like that but we’re doing great financially and we don’t work like that. There have been times, there are seasons, when the business is demanding but those always need to be looked at as exceptions, not the norm.